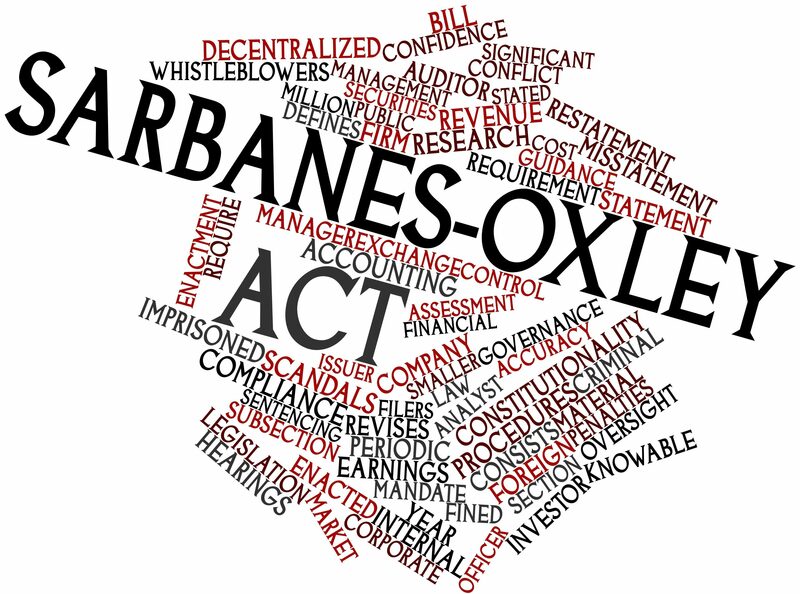 In a recent decision from the Eighth Circuit Court of Appeals, future potential whistleblowers alleging retaliation claims under the Sarbanes-Oxley Act (“SOX”) may have found an easier path to proceed with their claims. The Eighth Circuit’s opinion in Beacom v. Oracle America, Inc. joins the Second, Third, and Sixth Circuits in lowering the standard by which a SOX whistleblower’s retaliation claim may proceed. Under the Eighth Circuit’s holding, a SOX whistleblower need only prove that a reasonable person in the same factual circumstances, with the same training and experience, would believe that the employer violated a federal law protecting shareholders from fraud. However, despite the Eighth Circuit’s finding that a lesser standard applied, the court upheld the lower district court’s ruling granting summary judgment to defendant Oracle. By way of background, Oracle is a publicly-traded international corporation in the computer software and hardware business. Oracle’s software business is divided into seven global business units, including the Retail Global Business Unit (“RGBU”). In 2011, Michael Webster took over as General Manager of the RGBU. After taking over, Mr. Webster changed the method for projecting quarterly sales revenues. Previously, Oracle had utilized a bottom-up forecasting process, which allowed sales representatives to enter potential deals into a database, indicating the deal’s value and the likelihood of closing before the end of the quarter. The regional managers then adjusted the forecasts, and the combined information was used to create projections using and automated program. However, when Mr. Webster took over as General Manager, he shifted sales revenue projections from bottom-up to top-down. Using information contained in the sales pipeline—that is, deals already in the works—and historical conversion rates, Webster established the forecasting goals for each region. This forecasting method resulted in higher projections than under Oracle’s traditional GCM method. For the first three quarters of 2012, the Americas division of the RGBU overprojected its revenues using Mr. Webster’s top-down approach. In Q1, it projected $16.4 million, but delivered about $13 million. In Q2, it projected $27 million, but delivered about $20 million. In Q3, it projected $25 million, but delivered about $15 million. The whistleblower in this case, Vincent Beacom, alleges that as a result of the aforementioned overprojections and the discrepancy between Mr. Webster’s projections and the GCM model, Mr. Webster directed salespersons at RGBU Americas to record deals that did not meet the GCM criteria—such as deals only considered “best case” under GCM—so the GCM model would closer reflect his projections. Mr. Beacom further alleged that he repeatedly voiced concerns to Mr. Webster about the new projections method, beginning as early as the second quarter. Mr. Beacom testified he was concerned that “the wrong, incorrect, non-fact-based expectations were being sent up through the management chains, which would be the foundation of an expectation sent to” Wall Street, and that these inaccurate projections contributed to Oracle’s decline in stock value. In January 2012, Mr. Beacom and Mr. Webster attended a conference in New York City. Mr. Webster told Mr. Beacom he had increased his projection from $25 million to $30 million. Mr. Beacom then “challenged” Webster’s practice of “intentionally forecasting false revenue commitments.” Soon after, Mr. Beacom met with HR Representative Jennifer Olson to express concerns that Mr. Webster’s forecasts were setting the wrong expectation for shareholders. Subsequently, the decision was made to fire Mr. Beacom. On March 5, 2012, Oracle terminated Mr. Beacom on the basis of poor performance and insubordination. Mr. Beacom then sued Oracle under SOX, as well as the Dodd-Frank Wall Street Reform and Consumer Protection Act (“Dodd-Frank”), alleging Oracle wrongly terminated him in retaliation for his complaints about Mr. Webster’s revenue projections. The district court granted Oracle’s motions for summary judgment. Mr. Beacom appealed that ruling to the Eighth Circuit Court of Appeals. The Eighth Circuit said that nothing has been done to reject the Sylvester standard, and that “[t]he Second, Third, and Sixth Circuits have deferred to the Sylvester standard, rejecting Platone’s ‘definite and specific’ standard.” The Eighth Circuit said it was compelled to follow the Sylvester standard. In applying the Sylvester standard, the Eighth set forth that Mr. Beacom “must establish that a reasonable person in his position, with the same training and experience, would have believed Oracle was committing a securities violation.” While the court stated that “the issue of objective reasonableness should be decided as a matter of law only when no reasonable person could have believed that the facts [known to the employee] amounted to a violation or otherwise justified the employee’s belief that illegal conduct was occurring,” the court found that summary judgment was appropriate in Mr. Beacom’s case. RGBU Americas missed its projections by no more than $10 million. Beacom—an Oracle salesperson and shareholder—would understand the predictive nature of revenue projections. And, he would understand that $10 million is a minor discrepancy to a company that annually generates billions of dollars. These facts compel the conclusion that Beacom’s belief that Oracle was defrauding its investors was objectively unreasonable, even under the less-stringent Sylvester standard. The district court did not err in granting summary judgment to Oracle on the Sarbanes-Oxley claim. While the standard adopted in Beacom gives potential whistleblowers more leeway when it comes to SOX retaliation claims generally, the holding in Beacom is a major win for employers. In light of the court’s holding in Beacom, employers may now defeat a potential retaliation claim by showing that an employee lacks a reasonable belief where claims are based on amounts that would be immaterial to shareholders. Even still, the lesser “reasonable belief” standard adopted by the Eighth Circuit will allow more potential whistleblower employees to make retaliation claims based upon their “reasonable beliefs” as opposed to the former “definite and specific” standard. If you or someone you know has been the subject of workplace retaliation for blowing the whistle on misconduct on the part of your employer, whether it involves violations of federal securities laws or otherwise, please contact our whistleblower attorney team for a consultation. In light of the Eighth Circuit’s newest holding in Beacom, there may now be greater protections for SOX whistleblowers, and our adept whistleblower attorneys can properly advise you on your rights as a whistleblower. Our whistleblower attorney team can be reached via email at kporter@chrisjen.com, or by phone at 801-323-5000, or through our contact form.